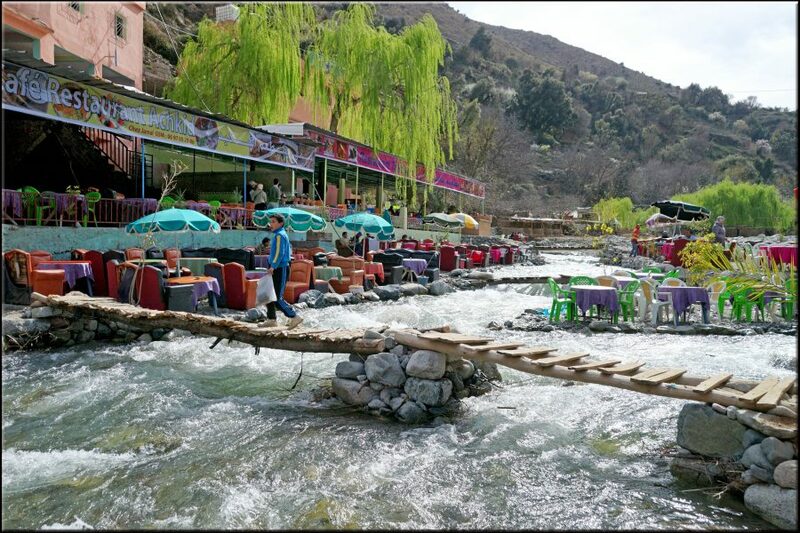 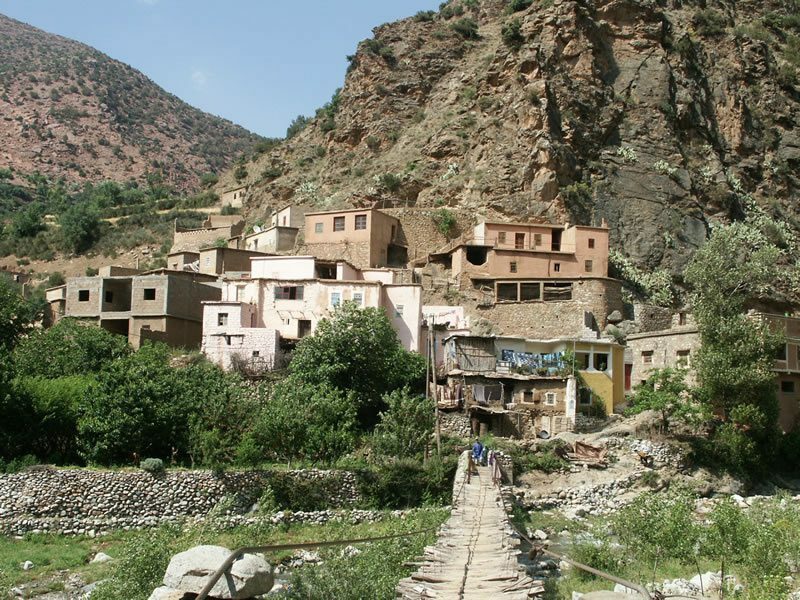 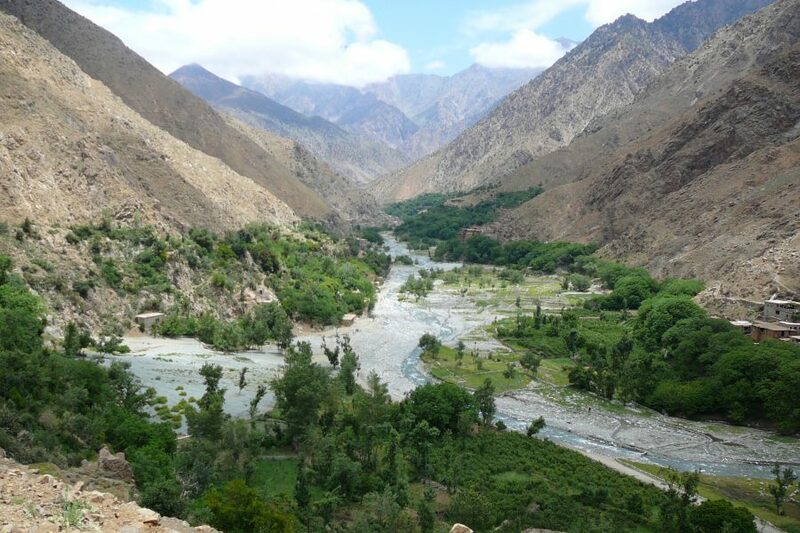 Ourika Valley, at the foot hills of the High Atlas Mountains is only a 45 minutes south east of Marrakech. 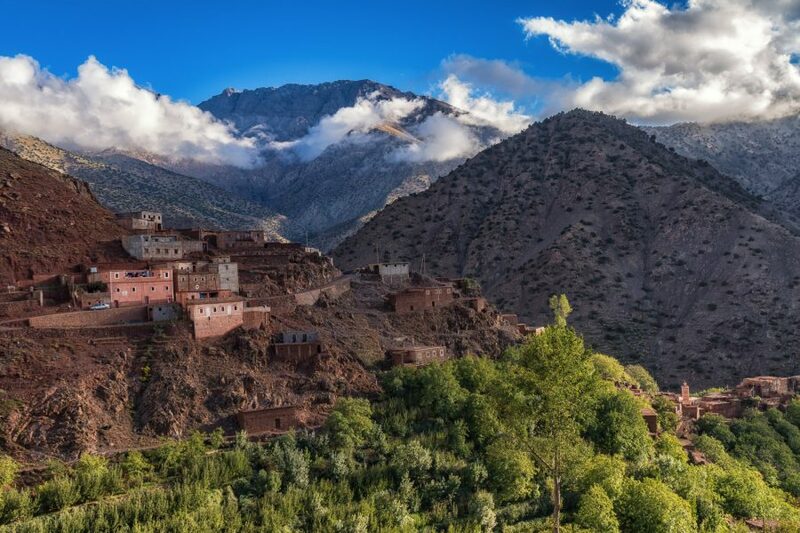 The valley offers a great escape from the heat of Marrakech for the locals during summer months. 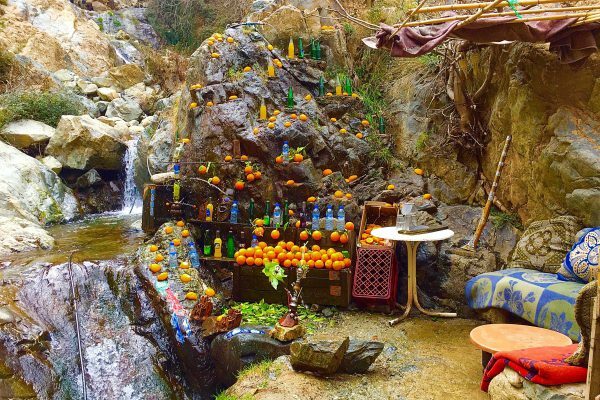 This budget day trip to Ourika Valley from Marrakech is ideal for nature lovers and light trek into one of the small size waterfalls, or just relax and have a snack at one of the local cafés unted the shade of the walnut trees next to the stream. 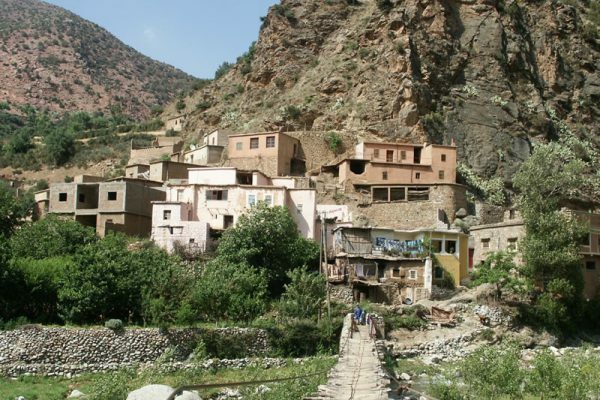 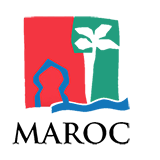 After a 30 minutes drive via the fertile Haouz Planes, you will reach Tnin Ouika center, from here you will continue up to Setti Fatma. On the way, stop at a Berber house where you can share a cup of mint tea with the locals before you continue to Stti Fatma Berber village. 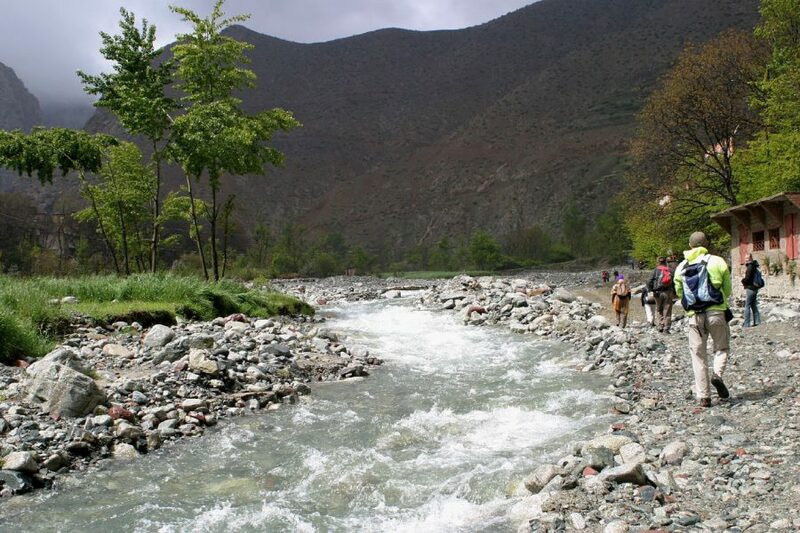 Upon arrival, enjoy a guided light trek into the the water falls above the village ( local guides available for hire ) Return back to the village where you can have lunch ( at leisure ) at one of the local cafés next to the stream.